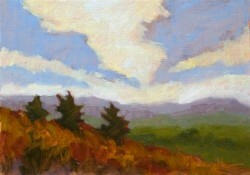 Oil painter Bobbi Heath's passions are drawing and painting en plein air. 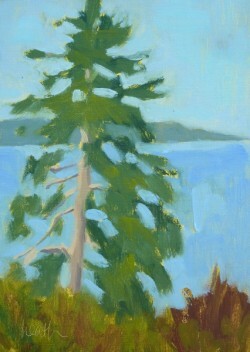 She's studied with Maine artists Suzanne Harden and Tina Ingraham, and has enjoyed workshops with Peggi Kroll-Roberts, Marc Hanson, Anne Blair Brown, and Lori Putnam. An avid boater, Bobbi's work focuses on marine paintings and landscapes of her favorite coastal haunts in Maine, the US and Europe. Bobbi is represented by Yarmouth Frame and Gallery in Yarmouth, ME, and The Drawing Room at Anthi Frangiadis Associates, in Marion, MA. 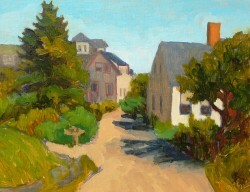 She was the third prize winner at the Ocean Park Plein Air Festival in 2014 and has participated in the Castine Plein Air Festival from 2013 through 2017. 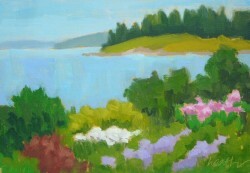 A sought after instructor, Bobbi teaches plein air and studio painting in Maine, Massachusetts, and Provence.